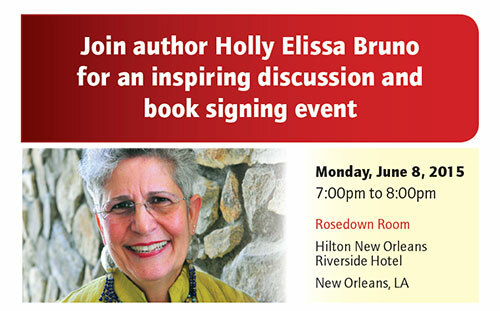 Buy a copy of the book, here. 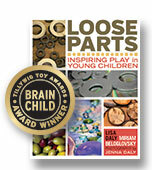 Loose Parts: Inspiring Play in Young Children and the Brain Insights Cards are winners of the Brain Child award in the Tillywig Toy and Media Awards. The Tillywig Toy and Media Awards are awarded to products for children based on ease of first use, replay value, quality, social interaction, creativity, and use of motor skills. 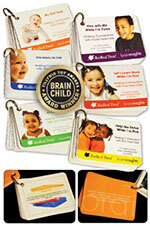 "Having these cards at your fingertips is like having a parenting road map to your child's emotional, physical, and intellectual needs. The sheer variety and interactivity available within each card deck makes it a simple matter to spice your days with playful parent-child experiences that do a great deal to promote your child's well-being." 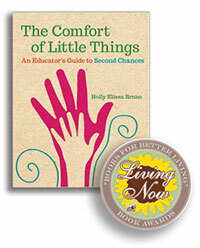 Holly Elissa Bruno’s newest book, The Comfort of Little Things: An Educator’s Guide to Second Chances has won the silver medal in the personal growth and motivation category of the Living Now book awards. This award program is designed to “honor those kinds of life-changing books” and “celebrate the innovation and creativity of books that enhance the quality of life”. We see the amazing work teachers do daily and how they enhance the quality of life for every child and student they come in contact with. This honor brings that recognition to a wider audience and shows the valuable insights the profession can bring to all of us as students of life. Redleaf Lane's Wisteria Jane was recently reviewed by big names Publisher's Weeklyand Kirkus Reviews. 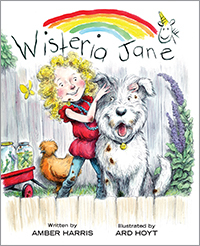 In her first adventure, Wisteria Jane learns how to be a thoughtful friend as she hones the skill of being honest without adding the "not so nice" truths she is so tempted to share. Read the full Publisher's Weekly review, here! Read the full Kirkus Reviews review, here! Redleaf Lane's When You Just Have to Roar! 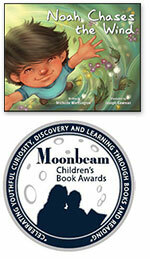 was recently reviewed by School Library Journal. This book is about the ways one teacher helps her students practice managing emotions and behaviors that make everyone happier. Read the book to children to introduce and reinforce these important concepts and support their development of emotional control and self-regulation. Local publisher Redleaf Press was recently contacted by Syria Bright Future Chairman Omar Said Yousef regarding the use of one of their books in training for volunteers assisting in Syrian refugee camps. 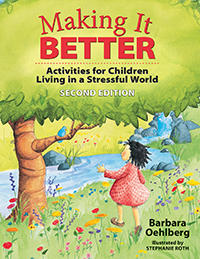 The book, Making It Better: Activities for Children Living in a Stressful World, explains trauma-informed education that recognizes the effects of trauma on children and how to create interactions that support their growth and healing. The book has been provided along with other resources free of charge to assist in their efforts working with the children and parents in northern Syria. Assisting families that have been displaced from their homes, experienced violence, and witnessed horrible acts, the team is focused on psychological first aid, support groups, stress managment, and mental well-being. They have taken on a large task in a region still facing unrest and we are honored to be helping in their efforts, however we can. Redleaf Press author Judith Anne Rice, resident of Maplewood, was recently invited to take part in the Sesame Street Workshop panel to plan the new season's content. This honor is bestowed on a few experts each year who are tapped to provide the writers and producers insight into the chosen topic. The new season of Sesame Street will teach children the importance of being kind to one another and themselves. 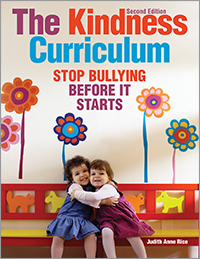 Mrs. Rice's book, The Kindness Curriculum, was chosen by the producers for its ability to make being kind an activity that children can practice and have fun with. Sesame Street has seen the importance of teaching kindness in our ever expanding digital world of anonymity and bullying. Judith Rice is excited to be a part of this panel in June and we look forward to seeing what the creative minds at Sesame Street come up with to teach a new generation the importanceof compassion. 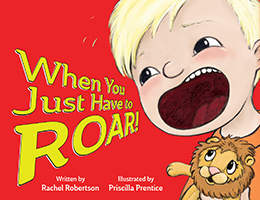 Order your copy of When You Just Have to Roar! here. Order your copy of Noah Chases the Wind here. Order your copy of All the Colors We Are here. Order your copy of The Amazing Erik here.